This excerpt from Tess Baumberger’s Soul Lifts, was kindly shared all the way from a church service in New Mexico that my mother-in-law attended last week. I think it’s brilliant and thought it must join Mandala Reflections’ collection of inspiring words. Wouldn’t it be great if we walked around surrounded by our souls, so that they were the first things people saw instead of the last things? Then people would judge us by who we really are instead of how we look. Imagine no more racism, ageism, sexism, fatism, shortism, homophobia. Imagine falling in love with who a person is, just by looking at them. It would be a kind of cloaking device, hiding physical faults, defects, or even perfections. I’d want it to be mandatory. Then people would work at making their souls more attractive instead of their bodies and faces. Imagine people knowing by your soul that you really need a hug. Imagine people helping each other, and then their souls changing colors or growing. Imagine soul gyms with exercises to get your sagging soul in shape. Imagine the long lines forming for soul-lifts at churches, temples, mosques, synagogues, or nature’s grand cathedrals. Today’s post challenges us to break down the walls that we create inside ourselves. The idea and excerpts came from a book that I highly recommend, The Untethered Soul by Michael A. Singer. According to Singer, our continued focus on our thoughts and emotions create walls inside of us. We pay so much attention to these thoughts and emotions that we eventually stop noticing everything else, and worse yet, we stop going beyond the borders they create. Once we stop going beyond ourselves we lose the ability to grow individually and spiritually. 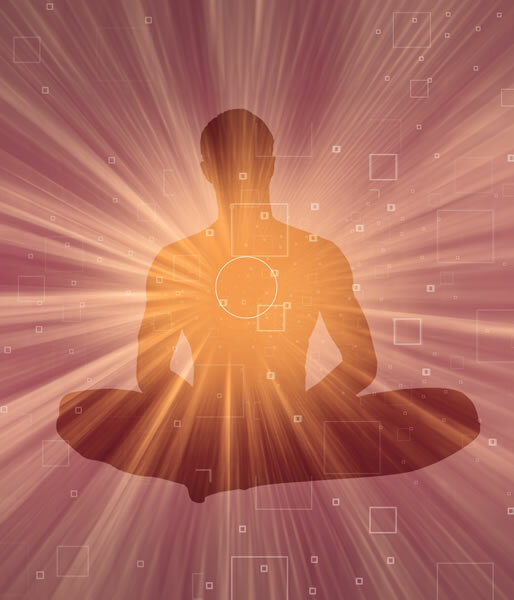 If we cannot go beyond ourselves, we will never have a transpersonal awakening–we will never connect to that which is greater than ourselves. The line between ourselves and the world will remain at a disconnect. As long as we remain removed from one another, our individual and collective health and well-being will suffer. However, if we work on breaking down our walls and we become aware of our walls, we make progress toward becoming our true selves instead of being reduced to our feelings and emotions. Take five minutes, find a quiet space and think about your walls. Think about your thought patterns and how they are serving you today. What would it be like if you let go of those thoughts and just witnessed them as nothing more than thoughts? Think about all the worrying you do. What if you just let those worries go? What would you start noticing in your life that you were unable to notice before? How would you grow? How would this new way of being affect the health and well-being of you and those around you? Climb the walls; break them down and watch what happens when you start seeing what lies beyond them.